For a period of time while Jesus was on the cross, He was cut off from the life-giving fellowship with His Father. 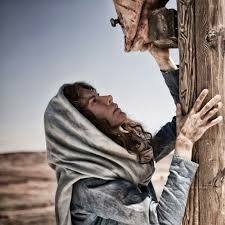 Yet, in the midst of this spiritual battle, Jesus noticed the grief and needs of His mother. Even from the cross, Jesus began to teach about the nature of His Kingdom. And it is this: those who believe, take care of each other in desperate times. That’s what a family does. That’s what the family of God does.